I am a big user of Adobe Acrobat distiller, which I use to convert a lot of my documents into PDF format for posting them on my class website. Adobe Acrrobat Pro doesn’t come cheap. Here is an alternative to Adobe software if you like your windows documents printed to PDF and archived. 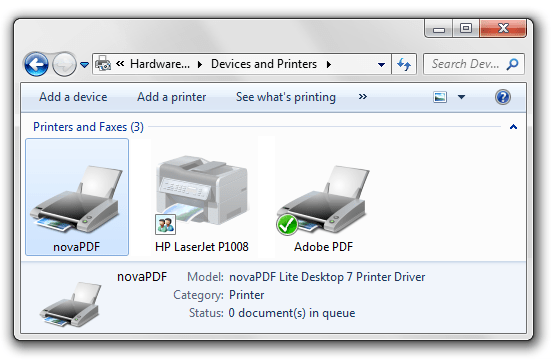 Free PDF Printer comes as a PDF printer driver, via Digital Inspiration. It is a good deal (sez KP). Go for it.